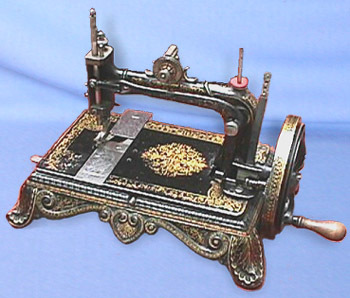 French sewing machine - La Fee du Travail. Marketed in France during the 19th Century as "The Work Fairy", this heavily-cast Howe copy was probably produced in Germany. A near-identical version called the "Atlas A" was sold in large numbers in the UK at the same time.